From survey appendix to clear and visual conclusions. Region Hovedstaden did a survey to cover their achievements on dealing with dementia in the healthcare system. 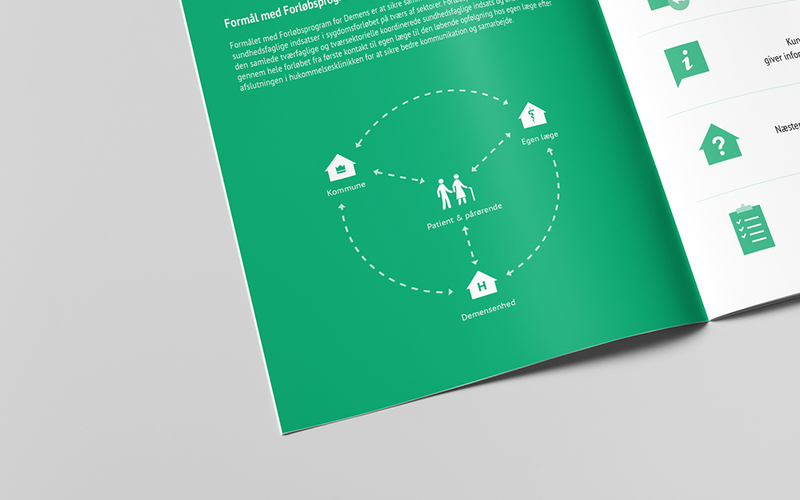 We helped them find, select and communicate the main results into a simple visual booklet.